If you’ve recently gotten engaged, there’s nothing better than taking photographs with your new fiance to capture this special time in your life. Engagement photos are some of the most used images throughout your wedding journey. They can be used for save the date cards, wedding websites, photo wedding invitations, newspaper wedding announcements, and more. You can even gift your family and friends or wedding party with personalized gifts that show off the two of you. Taking engagement photos can also help you scout your wedding photographer. If you’re in love with your engagement photos, you’ve likely found the photographer for the big day. As you prepare a checklist, you’ll want to include scheduling an engagement photo session early on. Our guidelines below will guide you on when to take engagement photos so you share your news the right way. When to Take Engagement Photos? Engagement photos should be taken within 1-2 months of getting engaged, before you get carried away with wedding planning. After you get engaged, you should hire a photographer right away to take your engagement photos so you don’t have to worry about them later on in the wedding journey. In addition to keeping up with your normal life, making wedding plans can take up a lot of your time. Engagement photos can easily become an afterthought based on your timeline. So, we strongly suggest getting your engagement photos taken care of sooner than later. Taking engagement photos within 1-2 months of your exciting news will also prepare you for engagement party invitations (if you’re choosing to celebrate) and save the date cards. 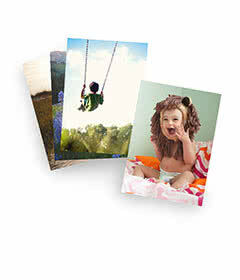 You won’t have to think twice about your stationery since you’ll already have photos ready to customize your items with. Plus, family and friends who haven’t seen you in a while will appreciate updated photos. Most importantly, engagement photos serve as keepsakes so you don’t want to put them off any longer than necessary. Capturing the magic of the moment can only happen if the moment is still relevant in your timeline. If you’re working with a busy photographer, it is acceptable to also take engagement photos up to 3 months after getting engaged. However, you shouldn’t wait any longer than 3 months since save the date cards are right around the corner. You can reference our guide on when to send save the date cards so your checklist is up to par. Confirm a photographer in a timely manner. Some photographers have unpredictable schedules so do your best to book a photographer right after you get engaged. Choose a concept for your photos. Build your photo concept by deciding on a location, considering the season, and your personality as a couple. These components will help you create the perfect theme for your session. Decide on outfits with your fiance. Choosing outfits that coordinate can get tricky, especially if your significant other has decided to let you take the lead. When choosing an outfit, always avoid matching too much and remember to dress casual or semi-formal. You should save any formal attire for your actual wedding photos. Refer to our guide on engagement photo outfit ideas for inspiration on what to wear and concepts. Meet with your photographer in advance to discuss your concept. Your photographer may be confirmed, but it’s also a good idea to meet with him/her before your session. Be sure to discuss your ideas and bring along any inspirational photos to your meeting, so your photographer is prepared to direct you day-of. Test out a make-up artist. A good way to secure your make-up artist for the big day is to have them do your make-up for your engagement photos. If you want to get a bit more creative with your save the dates, try sending save the date magnets customized with your engagement photos for a modern twist. You should always strive to feel your best during your photo session. Between capturing your personal style and showing off your natural personality as a couple, these photos will last far beyond your engagement session.